Blood found at the scene of a break-in at a chemist shop in Bellaghy matched the DNA of a local man, a prosecuting lawyer told Magherafelt Magistrates Court. Twenty-one-year-old Sean McKenna, from Springfield Park in the village, was placed on probation for 12 months and ordered to carry out 100 hours of Community Service. He admitted entering as a trespasser The Pharmacy at Main Street on June 5 last year and stealing prescription drugs. 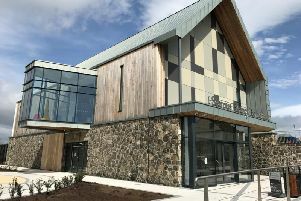 A prosecuting barrister explained that the owner of Bellaghy Pharmacy was raised by the alarm at 3.50am and going to the premises he noted a pane of glass had been smashed in the door and drugs stolen from the shelves, totalling £47, while damage to the door amounted to £400. He said from CCTV footage three males wearing hoodies were dropped off from a vehicle and one used a tool to smash the glass to enter the pharmacy. Counsel said none of them were wearing gloves and one appeared to cut himself. Subsequent investigations led to Sean McKenna who was positively identified by his DNA on September 24 last year, he continued. He added that none of the prescription medicine stolen was recovered by the police. A defence lawyer said McKenna was young man with mental and physical health problems. He stressed that there has been no further incidents since this offence last year and the defendant has ceased using all drugs. The lawyer pointed out that defendant had one previous entry in his record when he broke into a neighbour’s house to steal prescription drugs. Imposing the penalties, District Judge Alan White also ordered McKenna to pay £200 compensation to the injured party.